* No winner declared as of Friday. 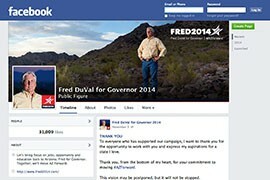 WASHINGTON – If Facebook friends were votes, Fred DuVal would be the next governor of Arizona. But DuVal, a Democrat with 30,425 fans of his social media site on Election Day, was defeated easily Tuesday by Republican Doug Ducey and his comparatively small 18,866 Facebook fans on that day. “I think we need a lot more research to be conducted that’s really systematic,” said Diana Owen, an associate professor of political science in Georgetown University’s Communication, Culture, and Technology graduate program. That was borne out in Arizona’s statewide and congressional races: About half of those candidates with better social media numbers ended up winning, about half ended up losing. Counting tweets, it turns out, isn’t the same as counting votes. 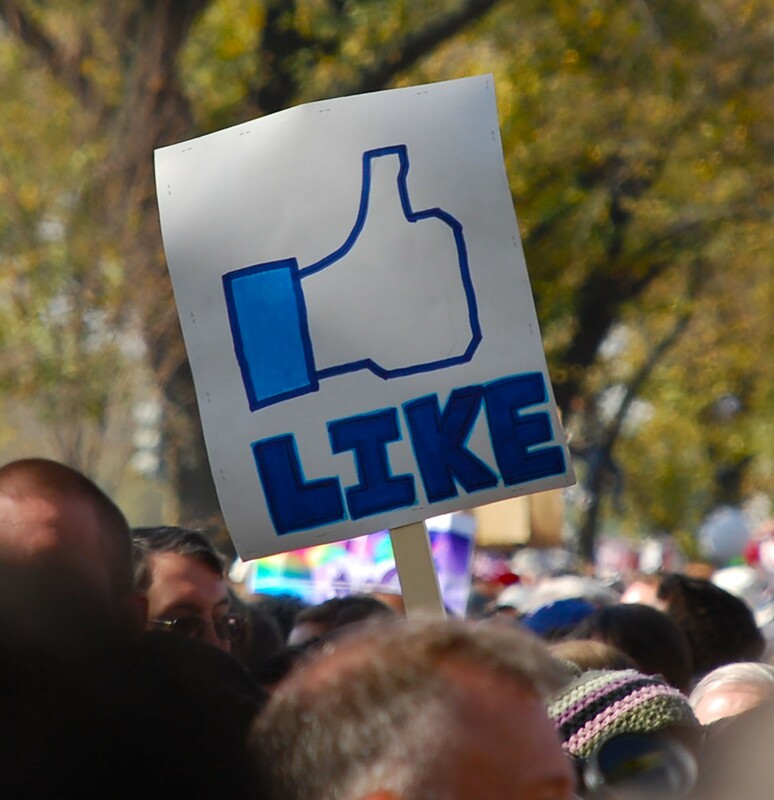 Facebook uses 14 different metrics to measure engagement on a candidate’s fan page, including people who like the page, comments on a post and sharing the page’s post to their own network. It converts those into a number that lets users know how many “people are talking about” a Facebook page at any given time. 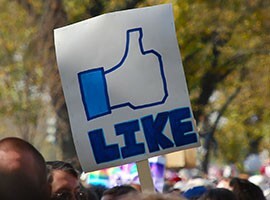 Political communications firm MacWilliams Sanders Erikson looked at Facebook’s impact on the 2012 elections, analyzing candidates’ Facebook engagement over three months. But the study did have one anomaly: Arizona. The state’s U.S. Senate race that year was the only one where Facebook engagement did not correlate with election results in the firm’s study. It looks like the same thing happened in Arizona’s 2014 midterm elections. 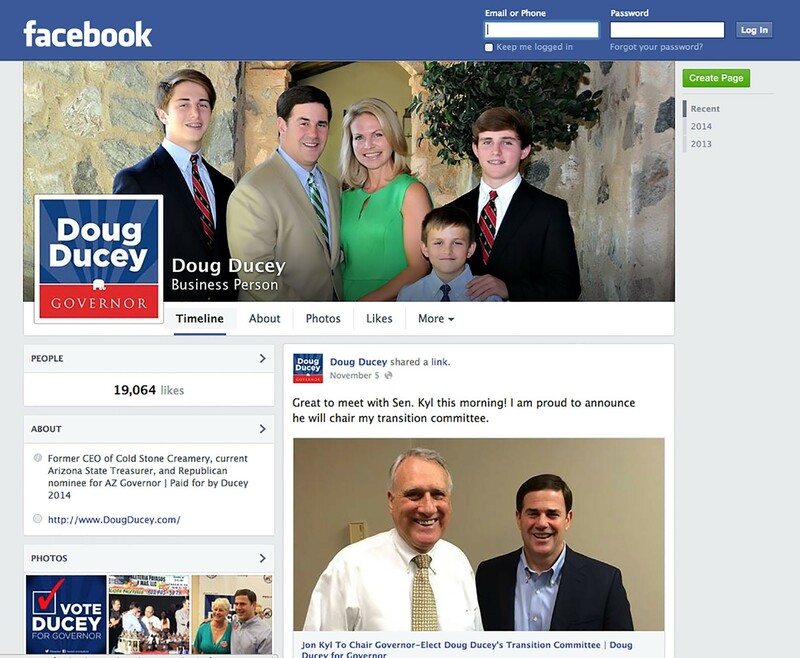 Facebook’s metrics said DuVal had 8,000 people “talking about” him on Facebook on Election Day, compared to 1,200 for Ducey. But Ducey ended the day with 685,200 votes to DuVal’s 531,849, according to the latest unofficial returns from the Arizona Secretary of State’s office Friday. Races for state school superintendent, secretary of state and attorney general followed suit. Attorney General-elect Mark Brnovich didn’t even have a Facebook fan page for his campaign, but bested Felecia Rotellini who had almost 4,000 people talking about her on Election Day. The state’s congressional races were a little more likely to align social-media success with ballot-box success, but it wasn’t perfect. Owen said that while social media isn’t the best source for election predictions, she does believe it has some effect on voter turnout. “It might encourage people to turn out,” she said. People who follow candidates on social media are signing up for constant updates, which can turn in to reminders to get to the polls as Election Day gets close. A study done by the University of California, San Diego, appears to agree with her. Professors there looked at social media networks that put out Election Day messages encouraging users to vote, and found that such messages resulted in 340,000 additional votes nationwide. But Owen said it would be risky to assume anything more than that. “I don’t hold much faith in the ‘number of tweets equals the winner’ theory,” she said. An active social media presence may help a politician - or it may not. In Arizona's statewide and congressional races this year, it was a tossup. About half those campaigns with an active social media prsence won their races, about half lost. 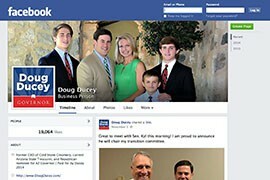 Republican Doug Ducey won the Arizona governor's race Tuesday with a Facebook presence with fewer likes and less buzz on Election Day than Democratic opponent Fred DuVal. 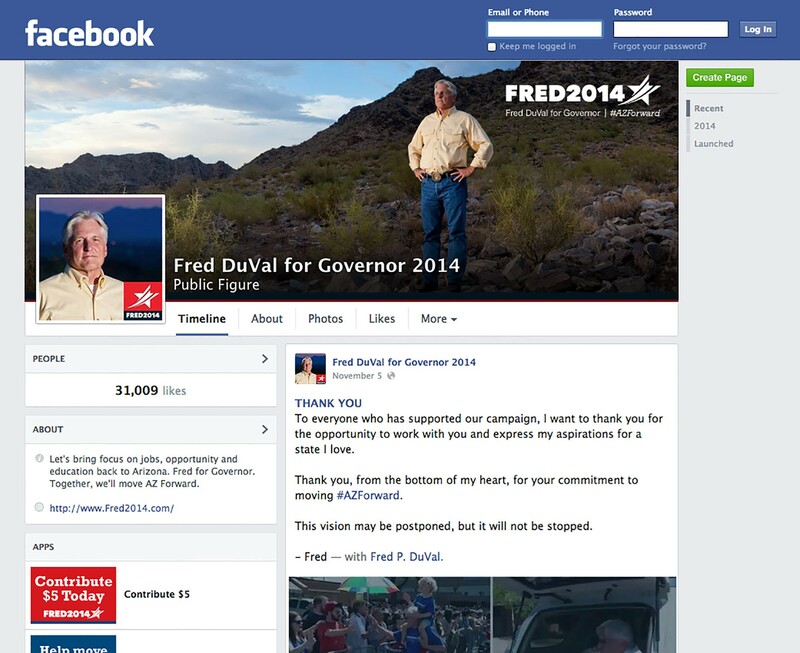 Democratic gubernatorial nominee Fred DuVal had more than 30,000 Facebook "likes" and 8,000 people talking about his page on Election Day, well more than Republican opponent - and winner - Doug Ducey.